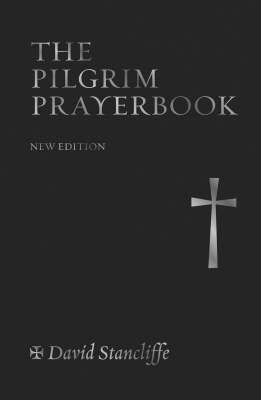 At the heart of the "Pilgrim Prayer Book" is the Eucharist, printed in the form recently approved by The Church of England (Common Worship). The Church has only one prayer - Christ's prayer to the Father. We have no prayer of our own independent of Him, and our confidence that our prayer is heard at the throne of God is based on the intimacy of the Son's relationship to the Father. The centre of this prayer is the Church's celebration of the Eucharist, where our offering of ourselves is drawn into the one, perfect offering of the Son to the Father. The Eucharist draws people of all sorts and conditions to the Risen Christ and in this book are prayers for all walks and stages of life. An important section is devoted to the Church's year and its seasons and there is material for people whatever their moods or needs at any particular time. The book ends with a selection of quick prayers for immediate purposes. David Stancliffe has compiled a prayer book of astonishing range. The book is full of surprises and yet the structure is based on the solid foundation of the Church's life of prayer. There is nothing so perfectly designed for modern usage. Great attention has been paid to good clear typography and to printing the text with plenty of 'space' as an aid to meditation and prayer. It is a perfect gift for confirmation or other special occasions and a lifelong companion.